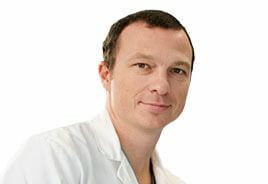 Board-certified in urology, Alexander Lipyansky, MD, takes pride in offering the best urological care in Brooklyn. Because he’s been practicing since 2000, he has become the resident expert in treating a variety of urology-related health issues. For example, he diagnoses and treats fertility issues, offering hormonal and fertility testing for both men and women. Dr. Lipyansky also handles complicated conditions like incontinence and bladder issues. If an overactive bladder or incontinence problem isn’t being resolved by conservative medical procedures, ask him for intravesical Botox injections, ideal for bladder and prolapse repair. Others have experienced relief from their symptoms with these new techniques. Dr. Lipyansky secured his Doctor of Medicine (MD) degree from the Icahn School of Medicine at Mount Sinai. It’s considered one of the best medical schools in the country. He’s been certified by the American Board of Urology. In his years of practice, he’s gained a reputation as a urologist who can resolve complex conditions. He’s one of many specialists now working at the Century Medical and Dental Center. Make an appointment with Dr. Lipyansky today to relieve your urology-related symptoms.